I’m not sure if you know this but Google implemented an update to their algorithm today, starting around 11 am CST. This is the change that Matt Cutts from Google warned us all about. 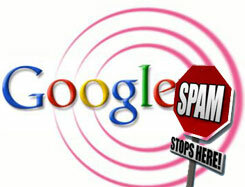 This new change will penalize sites that “over optimize”, use unnatural link building tactics and those who buy links. Now, normally when Google updates their algorithm, we hold our breath and watch the SERPs for our clients hoping that we don’t lose any ground as a result of the updates. I’m not saying we are nervous at all about our national & local SEO tactics for our clients. I’m just saying that Google’s intentions are not always clear. Today was a bit more hair-raising than most Google updates. Today, during the updates, our own site dropped from our #1/#2 spot for our favorite keyword terms to Page 12 and bounced around the SERPS all day. I’m saying we went from the top of page 1 to the middle of page 12 and everywhere in between before the day was done…that’s terrible for an Internet marketing company! Just yesterday, we told a potential client not to even consider a SEO company that doesn’t show up at the top of the search results for their local area and keywords, and here we were a day later completely off the map. Not only were we hurt, but the update affected a few of our clients’ ratings, as well. As you might imagine, we were not about to stand for this! We have always prided ourselves on our own refusal to even consider SEO tactics that are not in the spirit of Google Best Practices. We knew that this momentary drop in the rankings would be very short term and, after working all day to find a way back to our normal position of prominence, we, and our clients who were affected by the change, were back at the top of page 1 and stronger than ever. The moral of this story is that Advice Interactive Group, while just as vulnerable to Google’s whims as everyone else, is dedicated to getting searchers the best results they can get. Whether they need a local plumber, an attorney, gutters for their home or the best SEO Company to represent their business online, we know we’re doing it right for our clients and for Google.